I was just going to jump into discussing making salads, but before I do, I’d like to talk about being flexible during your cleanse. On Wednesday I got a call from my dear friend Lori. 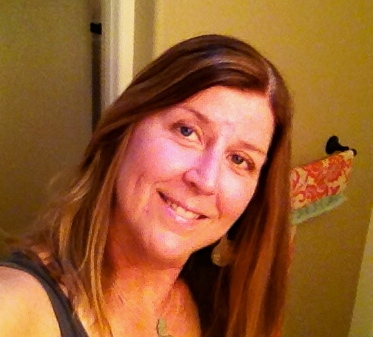 She was inviting me to go out white water rafting with her and her daughter, Haylee, and a friend, Rachel. My first thought was “how long will we be gone?” and “how can I stick with my cleanse?” while being away from home for close to 10 hours. My initial response was to protect the space of my cleanse as that is very important to me. I almost said “no” but, realized this wasn’t the place from which I wanted to decide. So I asked her for some time to sort through if I could join her and I went out for a run. During the run I realized, yes, this is something I can do and I want to do! And where there is a will, there is always a way. So yesterday we rode out to the Dechutes River near Maupin, Oregon and had the time of our lives. I had so much fun! It was like being a kid again and at times, like riding a bucking bull over the waves and water! We did several level 3 white waters and even one level 4 during our two and a half hours out on the beautiful Dechutes. The weather was perfect, meaning it was hot enough you wanted to get wet. This was a lesson in following my heart, not my head, in being flexible and in being prepared. I packed up some apples, carrot sticks and some almonds to take with me. I decided to add in nuts a day early for my cleanse phase to help me have enough easy to carry calories for the trip. I am grateful my friends did not want to go for pizzas and beer afterwards and that they got something at the deli and we all ate at a table inside, so my meal didn’t seem awkward in the least. When I got home I made myself a huge salad. 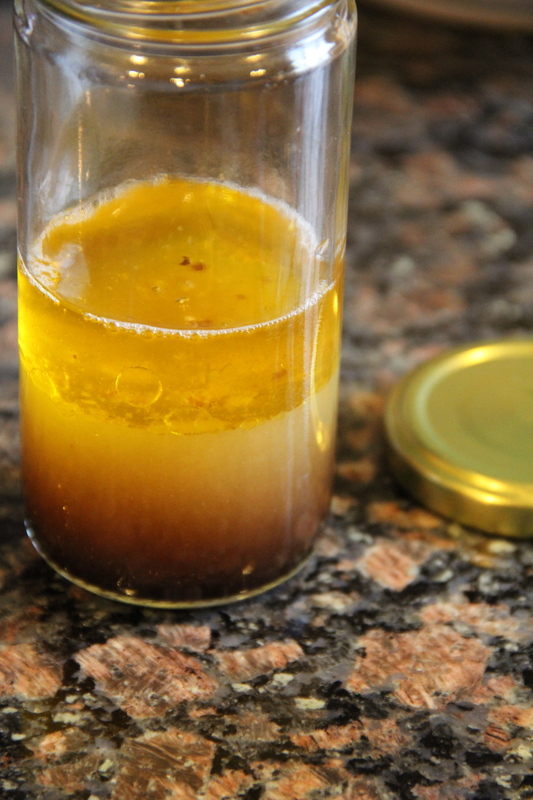 Here’s what I put in my salad and my favorite recipe for a very fresh light salad dressing. I firmly believe in the power of preparing food with love. I enjoy picking out the freshest ingredients and putting together combinations of what seems good at the time. 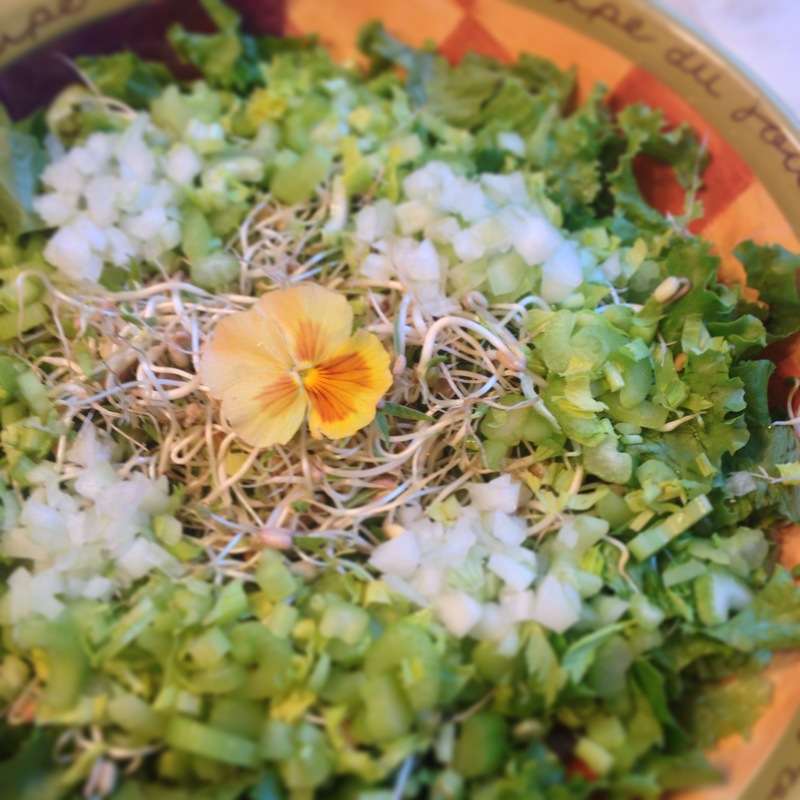 When you do a cleanse you may notice you feel more connected to the foods that you prepare. You may also notice your intuition seems more acute. Trust that intuition and use it to guide your meal preparation. I am continually coming up with my next “best thing ever” by following this advice. Shake together in a small jar until dissolved. Once you are ready to serve your salad, pour on the salad, toss and enjoy! You can use lemon versus apple cider vinegar and any healthy oil of your choice. The flax oil is by far my favorite as it is light and has lots of omega 3 fatty acids which are good for us. You can also do a variation that uses 1/2 the salt, but then add 1 tsp. tamari and 1 tsp fresh grated ginger. This version has an Asian taste and is good with cabbage salads or green salads. 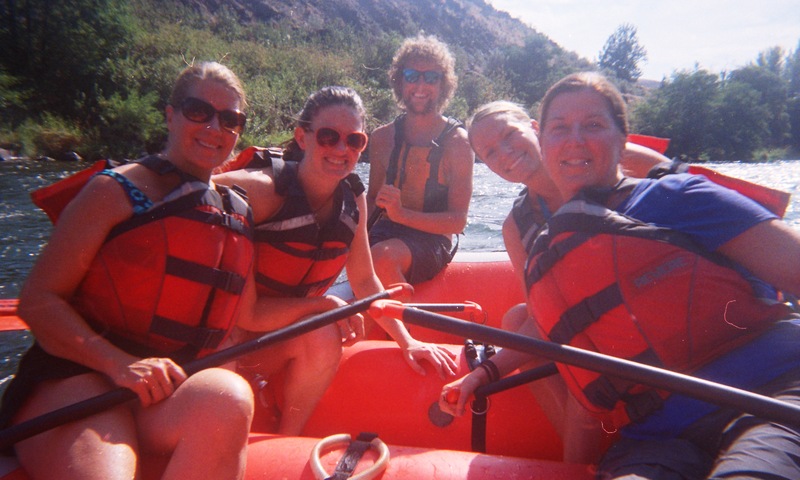 White water rafting on the Deschutes River, Oregon. I’m glad you followed your intuition and came out to play. It was a lot of fun and you were a trooper all the way. Let’s plan a three day trip on the river in the future. I love your open heart and willingness to say “yes”! Thanks Lori! I’m grateful for our friendship.